Straws represent bones, the rigid structure for the hand. Strings represent the tendons, which pull on the joints to make different bone segments bend. The robotic hands were built as students learned about prosthesis, or the science of developing artificial limbs and organs. Students learned how scientists, engineers, and doctors work together to develop artificial body parts as replacements for people who lose organs or limbs due to accidents or disease. Kids in Tech seeks to inspire and create the next generation of technology-savvy leaders through after-school computer science programs for kids and advancing computer literacy for all. 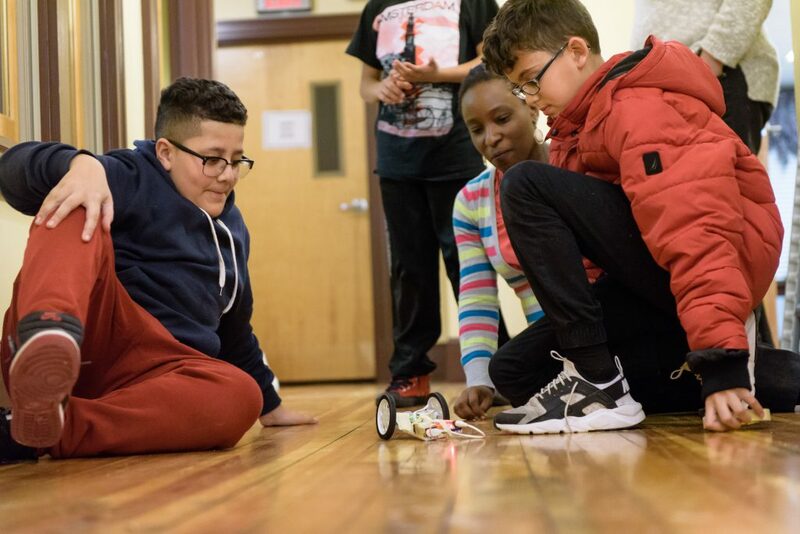 Kids in Tech excites, educates, and empowers children to use technology, promoting a positive environment, and fostering lifelong interest through our after-school programming in Lowell and the Greater Merrimack Valley. Through this programming, students develop the necessary tech skills and aptitudes to participate in the 21st Century innovation economy.